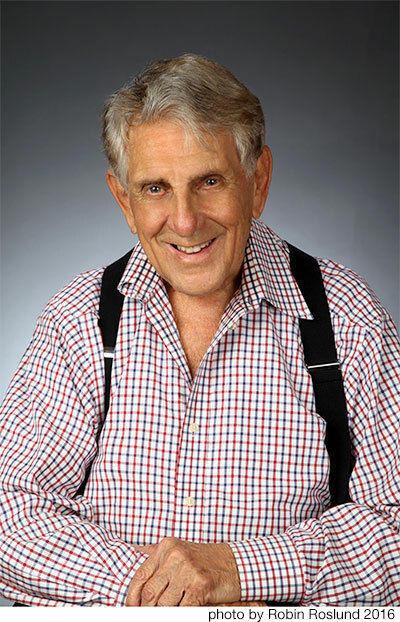 During his years as a teacher and a composer of piano instructional music, Mr. Waxman has continued to be active as a composer of contemporary concert music for piano, chamber ensemble, orchestra, chorus and solo voice. He has received many honors, including a Guggenheim Fellowship to Paris, composer residencies in America and Korea and commissions and performances from many orchestras, chamber music ensembles and solo instrumentalists and singers. He and his wife have often performed as a piano duo team often in premieres of his compositions for piano four-hands and two pianos. 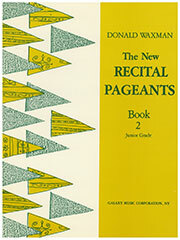 The couple now resides in Boca Raton, Florida, where Mr. Waxman continues to be active as a composer, pianist, teacher and lecturer. 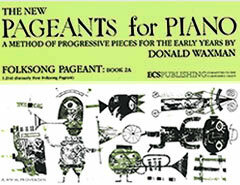 The original set of primers, from the beginning lessons through early intermediate levels, that has become the choice of discerning teachers who not only value its progressive methodology but as well the contemporary harmonic and rhythmic language of the music. The unique drawings in the Pageants by the renowned illustrators Alice and Martin Provensen have added greatly to the popularity of the series. The innovative Pageant Reader series contains short pieces, some only a half page long, that are designed to augment the student's weekly assignment and to help build the skills that the student needs to prepare a piece without any advance help from the teacher. 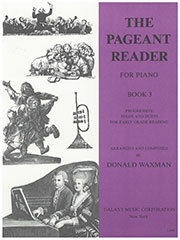 The Reader Book 1 is an ideal accompaniment to the Piano Pageant and Folksong Pageant Books 2 and 2A; the Readers Books Book2 and 3 are ideal to use with Piano Pageant and Folksong Pageant Books 3 and 3A. The pieces come from many sources. There are arrangements of troubadour songs, Elizabethan rounds, psalms and folk dances and folk-songs from around the world. 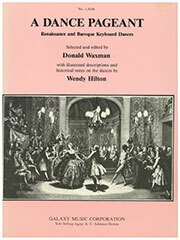 There are simple solo and duet arrangements of short excerpts from the orchestral literature. There are, as well, original short etudes, each built around a particular device such as 5/8 time, whole tone scale, chromatics and harmonics, etc. 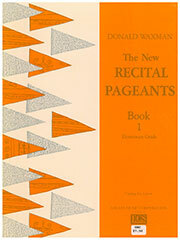 Four books of colorful, engaging pieces ideal for recital and auditions use. These highly descriptive pieces are written in the contemporary rhythmic and harmonic language that distinguishes the pedagogical literature of Donald Waxman. 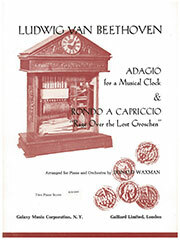 There are several recital duets in the series. Book 1 is at the upper elementary/junior level; Book 2, lower intermediate; Book 3, intermediate and Book 4, upper intermediate/lower advanced. 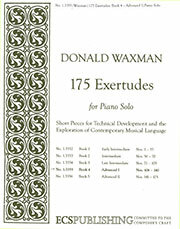 “The most important contribution to the literature of piano etudes for students since the days of Czerny and Heller.” So wrote Irwin Freundlich, past faculty member and chairman of the Juilliard piano department, about the 50 Etudes of Donald Waxman. 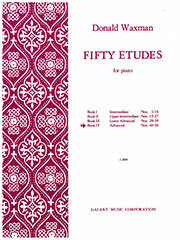 In the four books of etudes the composer has taken on the challenge of applying a contemporary language to the many skills that together make up a pianist's “technique”. There are the traditional mechanisms of wrist staccato, finger staccato, repetitions, chord alternations, etc. 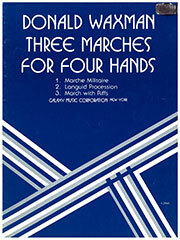 as well as more recent techniques such as glissandi, chord clusters and interior piano . 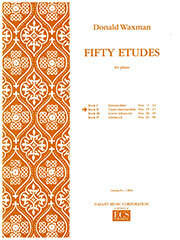 Each of the fifty etudes has a descriptive title as well as a technique title; for example, Etude of Alternating Double Notes is also titled Confetti. 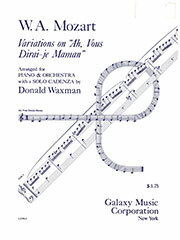 Because many of the etudes are both colorful and brilliant, they are ideal as recital pieces. 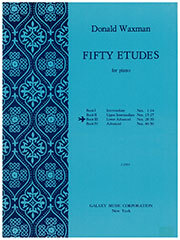 The 175 Exertudes, Books 1 to 5, advance the many technical skills of the 50 Etudes, but by way of a unique form that the composer has created, one that is midway between an exercise and an etude. Many of these miniature technical studies are only a half page long, particularly in Book 1, which is at an easier level than the first book of the 50 Etudes. 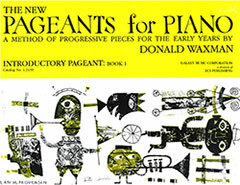 Building technique in all its facets is the main goal of the Exertudes, but the pieces can also serve as a way to explore the intervals, modes, chromatic patterns, cross rhythms and other contemporary devices. 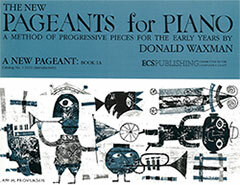 For some creative students, the Exertudes can serve as a model for composing short pieces using these elements. Book 4: Advanced I, Book 5: Advanced II. 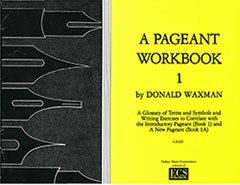 Original works for piano four-hands, piano six-hands and two pianos at various levels are an important part of the Waxman teaching repertoire. 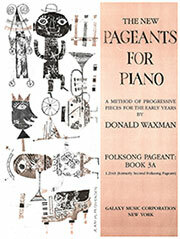 As well there are two- piano reductions of Mozart's Ah, Vous Dirai-je, Maman Variations and Beethoven's Rage Over the Lost Groschen, works that Mr. Waxman has transcribed for piano and orchestra. 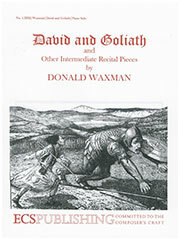 The Story of David and Goliath is a tone poem for piano recounting the well known Biblical encounter between the 15 year old David and the towering leader of the Philistine's army, Goliath. 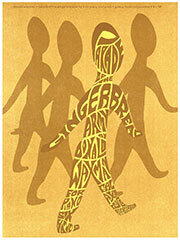 As in an orchestral tone poem, each of the main figures has his own theme. 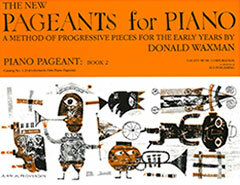 A colorful and dramatic recital piece for upper intermediate and lower advanced levels. 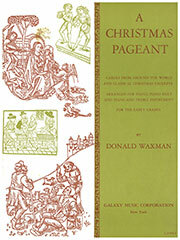 A Christmas Pageant is a collection of familiar English, French and German carols as well as old Burgumdian noels arranged by Mr. Waxman for piano solo, piano duet and treble instruments and piano. There are also arrangements of excerpts from some of the great classical Christmas repertoire, such as Handel's Messiah and Corelli's Christmas Concert. 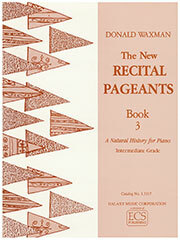 A Dance Pageant is a collection of 44 renaissance and baroque keyboard dances with explanations on how they were danced in the court ballrooms of the 17th and 18t h centuries. The renowned dance historian Wendy Hilton makes the ancient dances come alive with detailed descriptions of their particular dance steps and choreographies. Donald Waxman explains how to perform the keyboard dances such as the courante, the sarabande, the gavotte and other dances of the keyboard suites in ways that reflect the original rhythmic patterns and movements. A Dance Pageant is profusely illustrated with period engravings of the dances as well as diagrams of the dance steps and choreographies. To order any of the publications on this page, click on the book covers or the titles under them. This will link you directly to the ECS online ordering form.